Lovely Lovelie is a rocker, the perfect start to the album, bringing things nicely to the fore, with driving riffs, and snarling vocals. Another Sort of Homecoming is mixed, a deliverance of space rock with some soaring operatic vocals. Soul Shelter is atmospheric and thoughtful. Movements is slower, more rock and prog than heavy, and the guitars combined with the melodies makes this a fitting stock take. Come and Follow is a mix of rock and heavy, with the guitars bringing the big builds and the vocals providing a sense of urgency that is sometimes lacking elsewhere in the album. Friends are Falling is a dangling knife on the edge, slower, thoughtful, but with bite and sneer. Fire!Fire! is atmospheric, with sharp trills and dancing beats, making it one hell of a song. Fellow Peacemakers is an epic number from the piano to the vocals and to the all around bombast of the song. 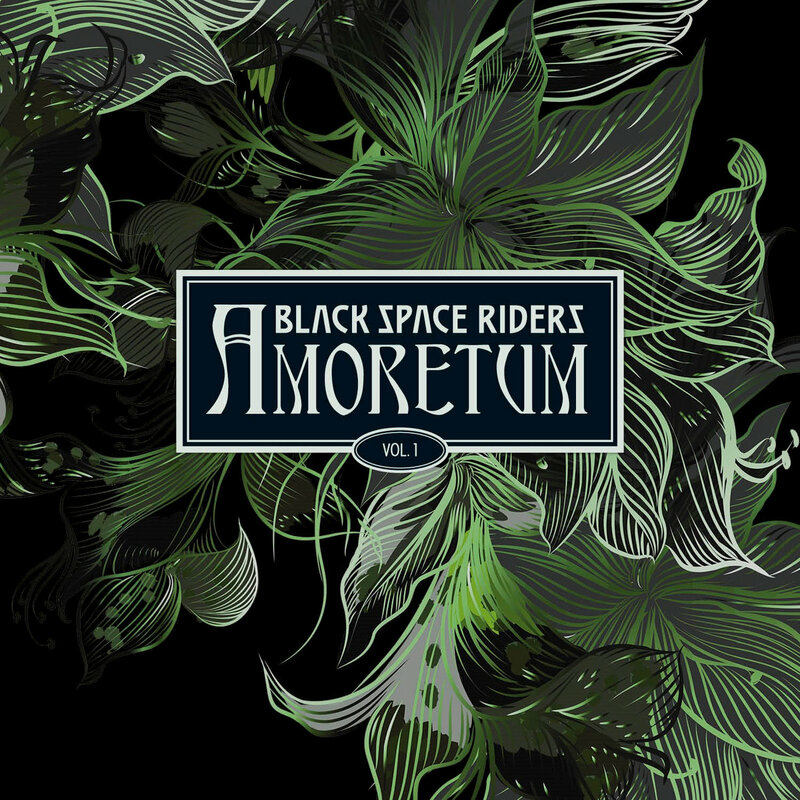 Straight off the heels of Amoretum Vol 1 released in January, Black Space Riders are back with the next instalment of this epic. Before My Eyes starts with a grooving riff and a solid drum beat, bringing things into something close to swagger and dance, with things really getting interesting as the song reaches its middle. Love is a slower number, haunting, with the type of riffs filling it that would make Black Sabbath proud. It speeds up in a similar manner to Sabbath as well and delivers quite the punch. Walls Away is reflective, brooding and somewhat melancholy. Sláinte is Gaelic in nature, with rhythms, guitars and vocals playing up this aspect, making it one of a kind. Assimilating Love is fast and furious, a rocker, and a song that will go down well when played live. In Our Garden is slower, more psychedelic playing on various images to pain a picture. Leaves of Life is moving, darkness and light all combined together. Body Move is grooving, like something from a 1970s Western, chilling, deep and ethereal, a brilliant number. Take Me To The Stars slivers and snakes, like a proper prog song, dancing through the melodies and everything else, to bring something beautiful to the fore. The Ugly Corrupter is dissonant, and something unusual. Living In My Dream is heavier, bringing crunching riffs and brutal vocals to the fore. Chain Reaction is a mix of pop and metal, soothing melodies and dark riffs, a brutal combination. No Way is a jangling, riff fuelled frenzy that brings melody and heaviness together. The Wait Is Never over is a chance to pause for thought and a fitting closer. The album is out on 27th July via Black Space/ Cargo Records.